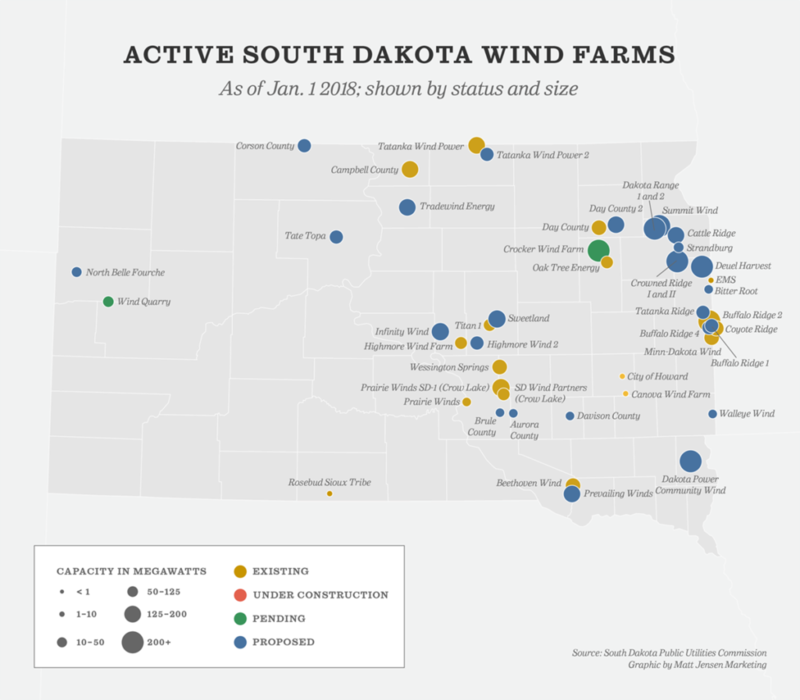 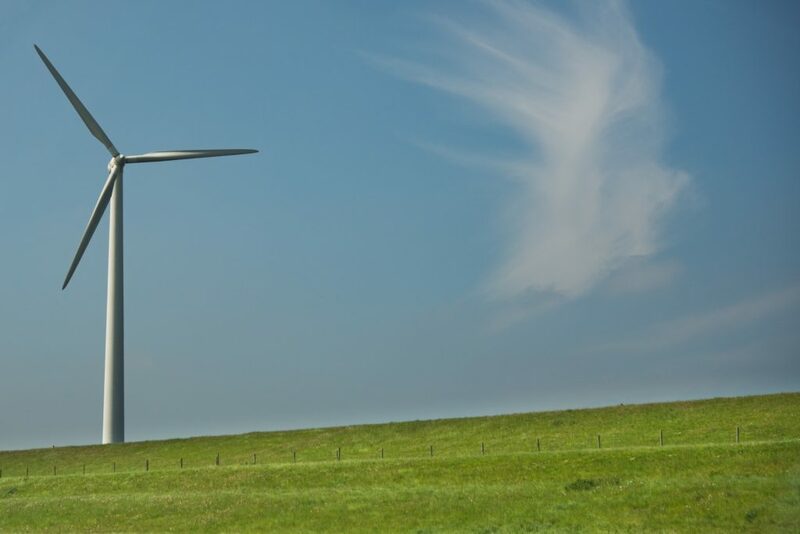 For years, South Dakota has trailed most of its neighbors in terms of wind energy production. 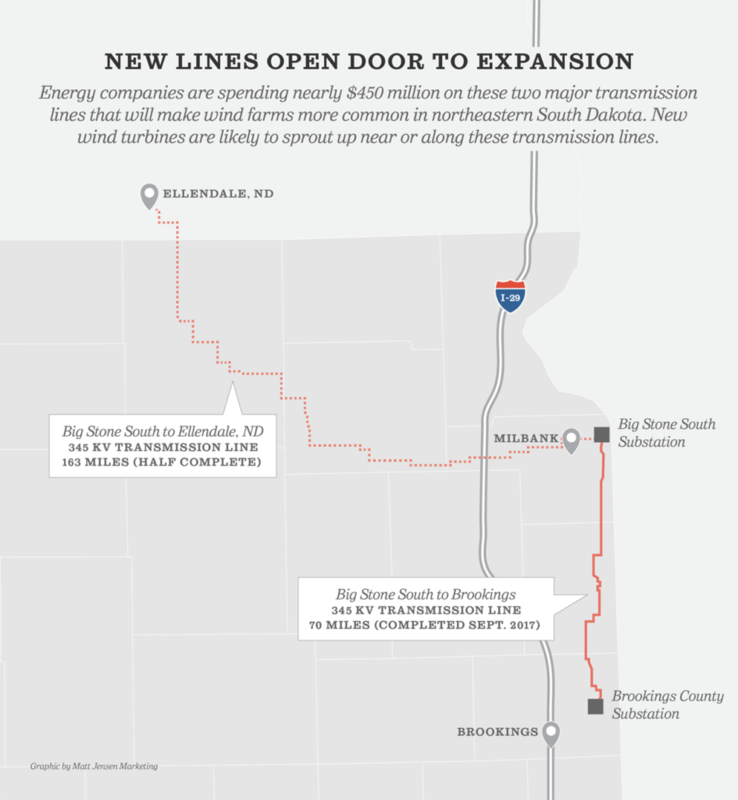 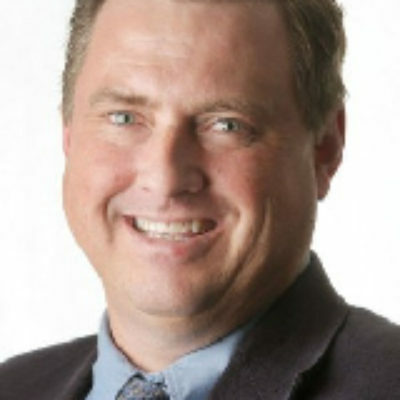 But with new transmission lines being built, the Rushmore State may soon begin to close the gap. 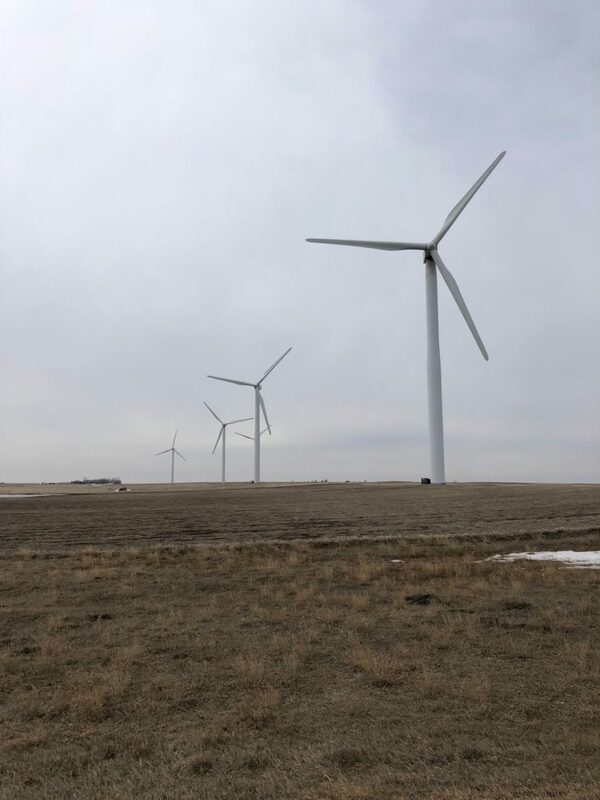 Here is a look at how South Dakota compares to other nearby states and the nation’s top producing state in terms of rank among 50 states for production, maximum megawatt potential, wind farm projects and number of turbines. 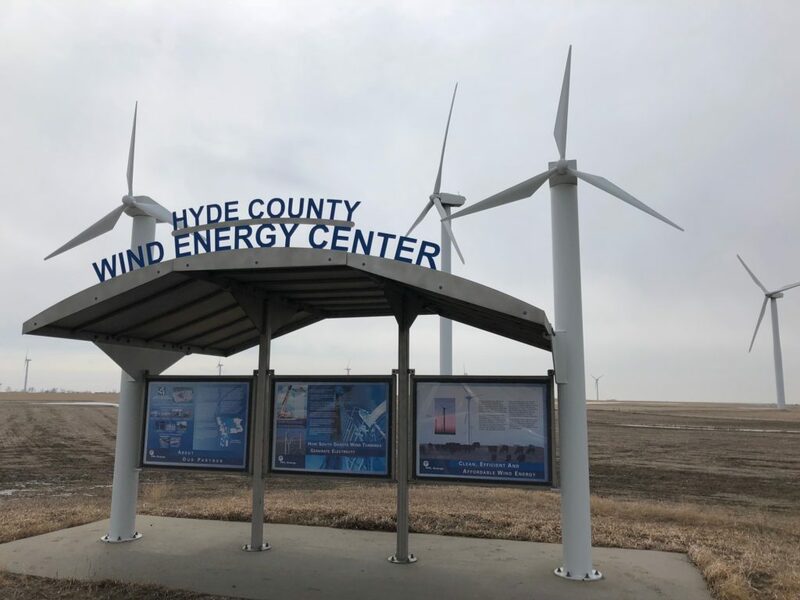 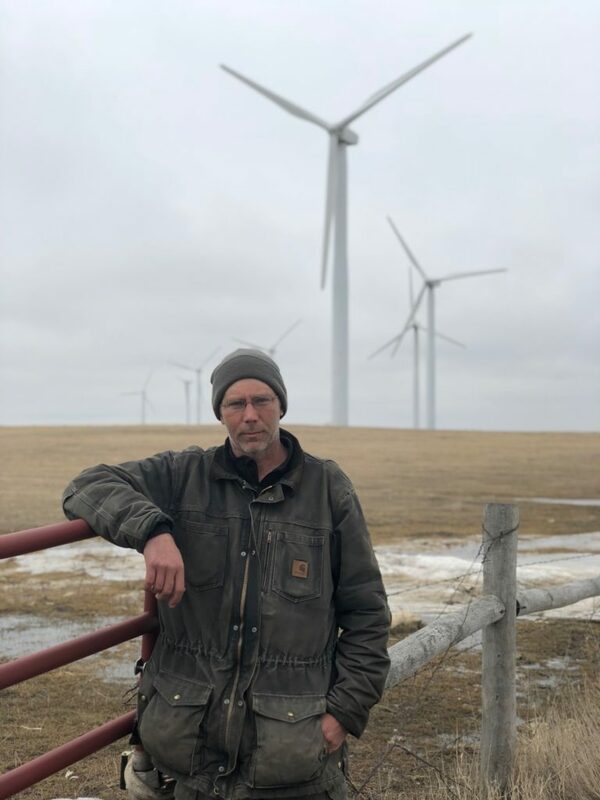 Two dozen or so opponents testified at recent PUC hearings regarding two pending applications for new wind farms – the 72-turbine, 302 megawatt Dakota Range I and II project by Xcel Energy in Grant and Codington counties; and the 120-turbine, 400 megawatt Crocker Wind Farm project by Geronimo Energy in Clark County.